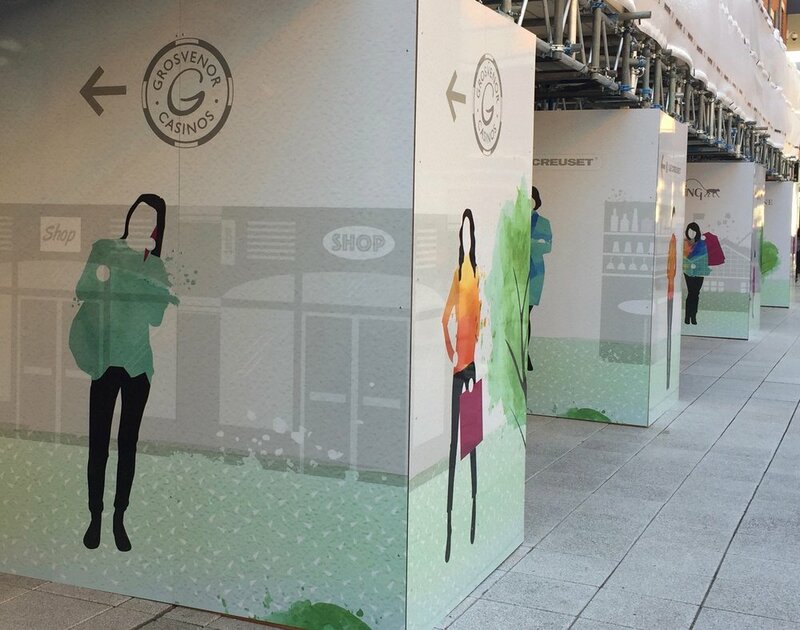 There are exciting things afoot at Gunwharf Quays this spring with two new food outlets being constructed in Central Square. 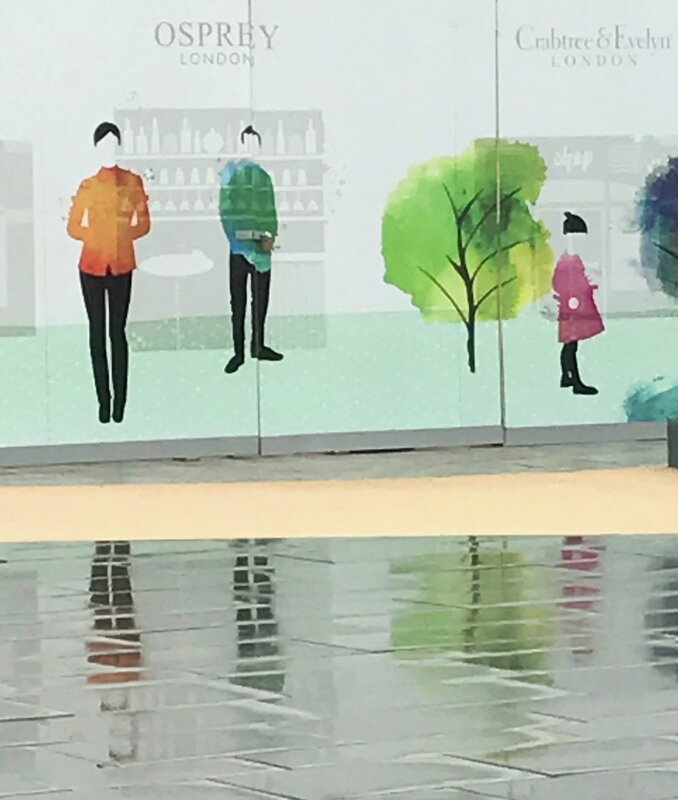 Whilst these works are going on, Starfish was commissioned to created an eye catching design for the surrounding hoardings which would reflect Portsmouth's vibrancy. Starfish created colourful illustrations of visitors shopping, eating, bowling and running around Gunwharf Quays and its surrounding areas, using many local landmarks as the backdrop. The works not only cover the hoardings in Central square but also surround the scaffolding going up around the site.